Fans of donuts and candy will be thrilled to hear that Krispy Kreme has teamed up with Jelly Belly to create a new range of jelly beans that taste like their donuts. However, we don’t recommend warming these ones up in the microwave or dunking them in your coffee. 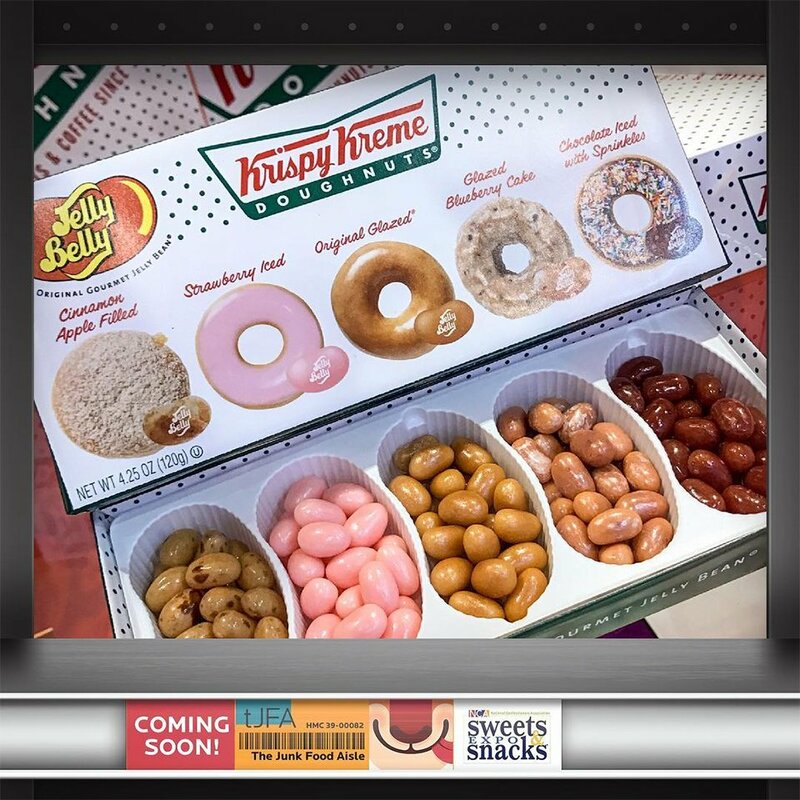 New Krispy Kreme Jelly Bellys will be out later this year! Flavors include: Cinnamon Apple Filled, Strawberry Iced, Original Glazed, Glazed Blueberry Cake, and Chocolate Iced with Sprinkles. My favorite of the bunch was the blueberry cake. Found these at the Sweets and Snacks Expo.